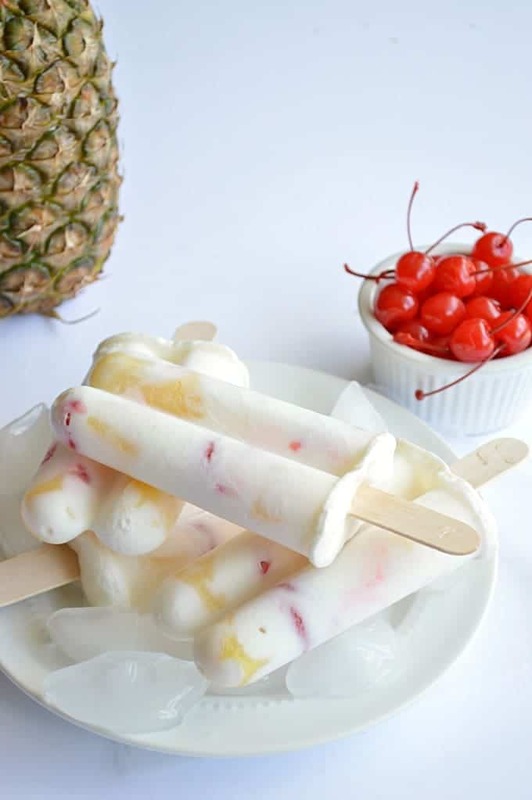 Cool down with these Pineapple Upside Down Pops made with Greek Yogurt and real fruit! Ahhh..summertime! Hot temperatures call for ice cream and popsicles! 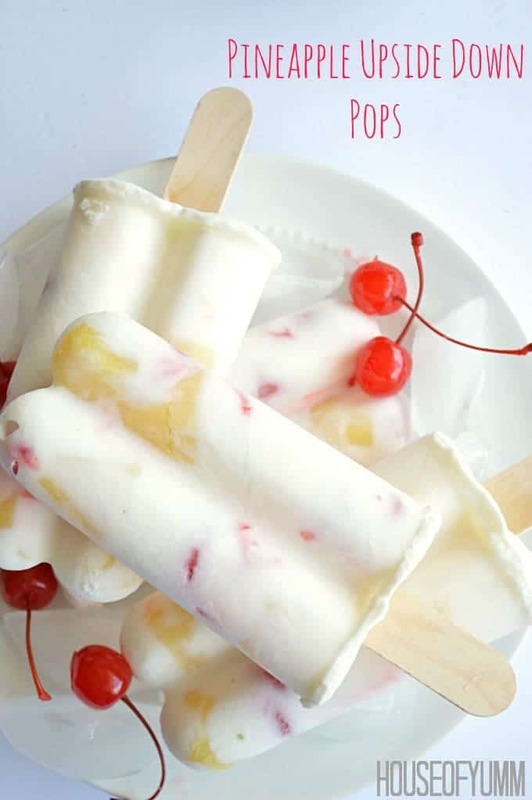 Why not enjoy the warmer temperatures with a guilt free pineapple upside down pop! 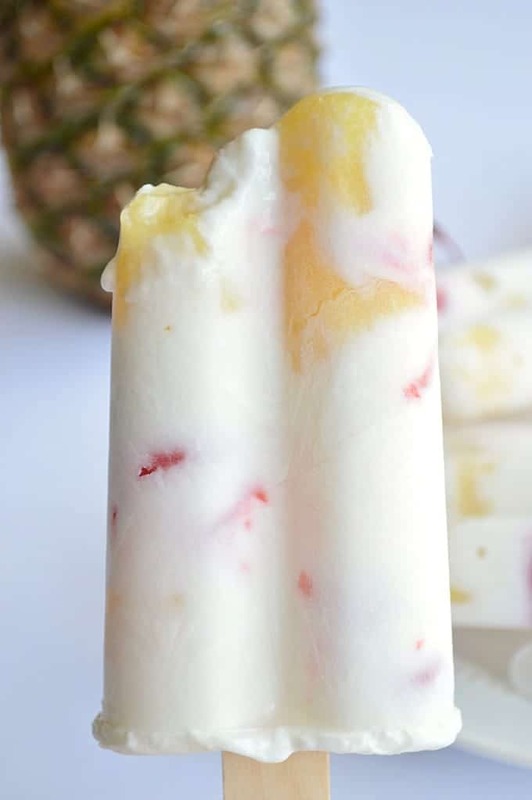 These pops are made with greek yogurt, one of my new favorite ingredients, and fresh fruit. Ok, so I know that maraschino cherries aren’t exactly ‘fresh’ but those can easily be substituted with real cherries. 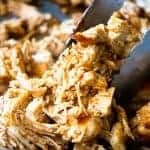 Just make sure you take the pit out. 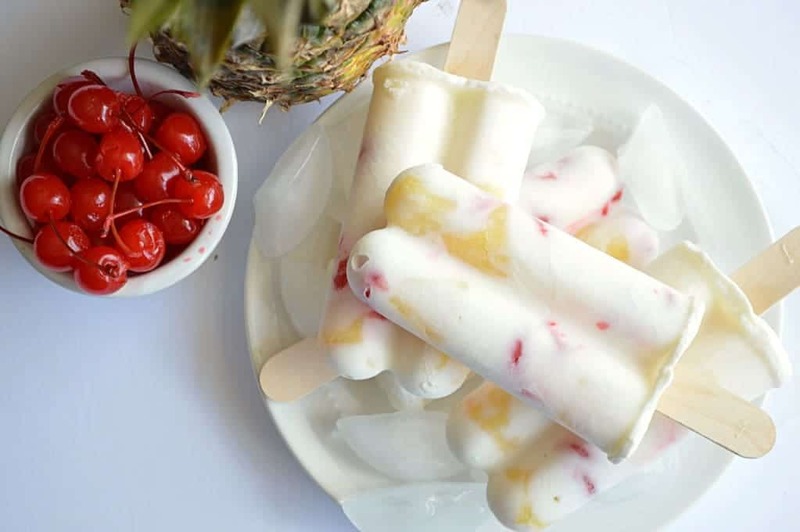 Either way, these pops are the best way to enjoy the flavors of Pineapple Upside Down cake and cool down at the same time. 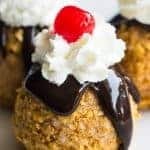 I am sharing more tips and tricks for making these pops over at my friend’s site Sweet Treats & More today. 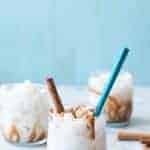 You’ll want to hop on over there to read about how to get these guilt free treats in your hands! Add the greek yogurt and the chopped pineapple to a medium size bowl. Stir to combine. Pat the cherries dry and add to the yogurt mixture. Gently fold the cherries in, this will prevent the cherry juice from staining the yogurt. 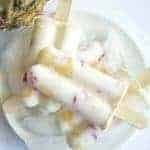 Spoon the yogurt, fruit mixture into popsicle molds. Insert popsicle stick and place molds into freezer. Allow at least 3 hours for freezing. To remove from molds just run hot water over the mold for approximately 30 seconds, then pull out the pop by the stick. **Total Time includes time in the freezer. 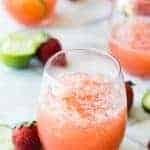 What a fun and refreshing treat for Summer! Greek yogurt is so versatile! Pinned. This is such a creative idea! They look so pretty and refreshing! Love that you used Greek yogurt too! 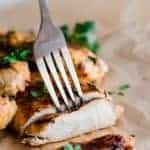 could you share the recipe with me, since the link given is not available anymore.